The ICE Europe exhibition is a great opportunity to spend time with many of our customers. Exhibiting at ICE Europe also gives us a good platform for showcasing our slitting expertise. At the previous ICE Europe show (in 2017) our X6 Slitter Rewinder drew a lot of interest, so this year we will be exhibiting the very latest iteration of the X6 slitter. The latest version of the Universal X6 shares the same heritage as every X6 we have built, and has some key developments that we are looking forward to discussing with delegates at ICE Europe. 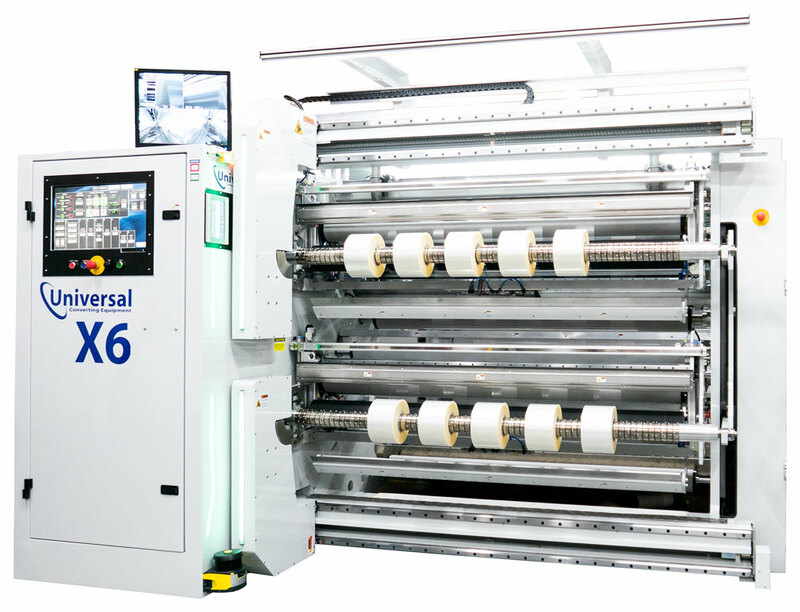 At ICE 2019, Universal will also be unveiling a range of additional automation systems to further reduce operator input required in setting and running the Universal X6 slitting machine. In addition to the X6, Universal will also be displaying its CCA automatic core cutter and will have information on its range of rewinding equipment, laser perforation and scribing systems, hot melt coating and laminating machines and roll handling trolleys.